A creative drop top guest book alternative which gets the guests involved and is admired by all. Please read the product description below as there are important details and different options for you to choose from. See my Etsy reviews here. Heart Size Choose an option1.5"1.75"2.0"
This unique and thoughtful drop top guest book is an alternative, exciting and warm way to involve guests at any event. It’s also a great way to record and remember the special day for a lifetime. 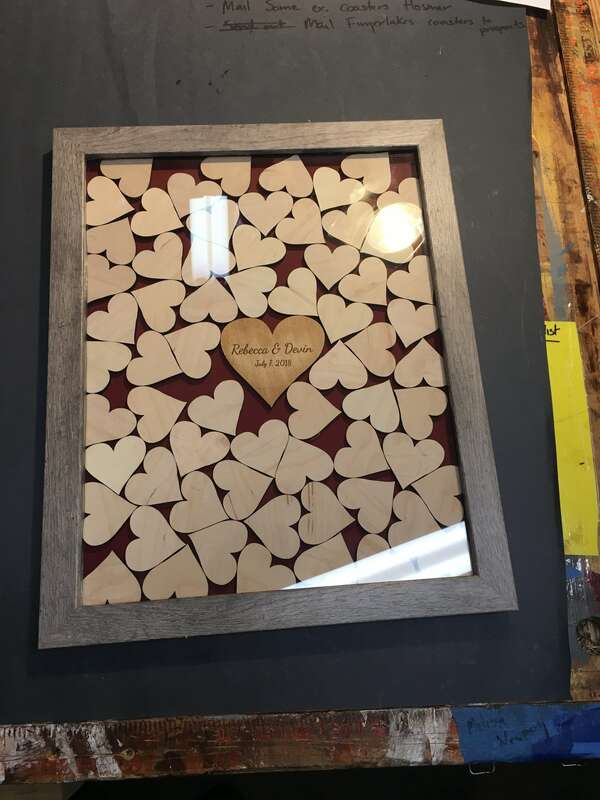 Guests will enjoy signing and dropping the hearts through the slit at the top, and the owner will enjoy cherishing this drop box guest book for a lifetime as it hangs on the wall. It’s great for weddings, birthdays, baby showers, fundraisers, or any event to be documented and has sentimental value. The 1.5″ hearts are a good size for just a name or two, but not much more. Maybe a name with a smiley or a one or two word blurb, or a very small drawing. The 1.75″ hearts hold more text. A great size for multiple names (often the choice of signing by couples). Also a name with a longer blurb and/or small drawing. The 2″ hearts have quite a bit of room and are great for allowing guests to leave a message. Keep in mind, typically not all guests will sign the guest book, and couples tend to sign one piece as a pair. It’s nearly impossible to know for sure how many pieces will be signed, but we’ve found it’s usually in the range of 50-75% of the guest number. 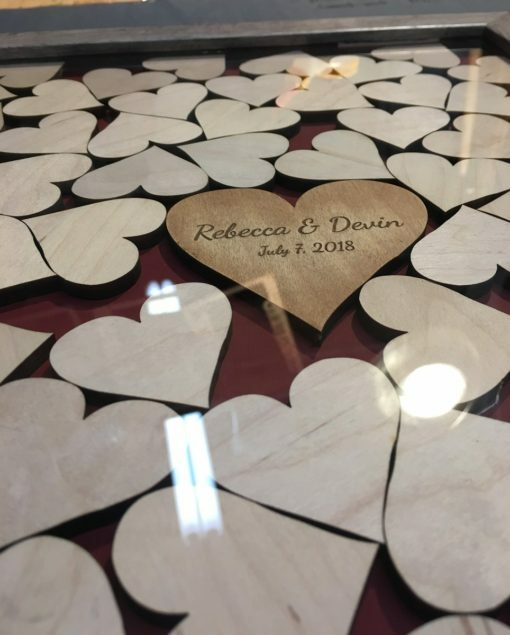 If you plan to have 150 guests at your wedding, unless you make a point that each guest should sign a piece individually, you should expect less than 150 signed pieces. 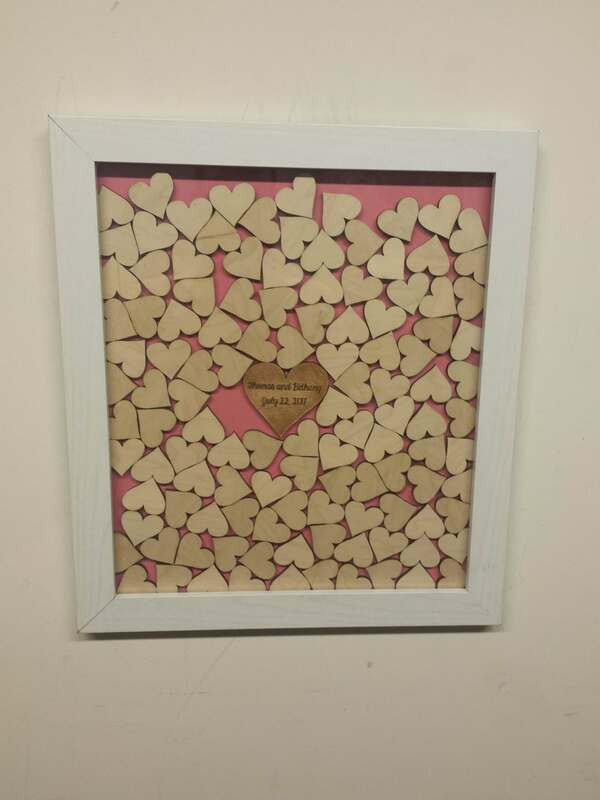 In this case, we would suggest 1.75″ or 2″ hearts with a frame which will hold 100-125 pieces. 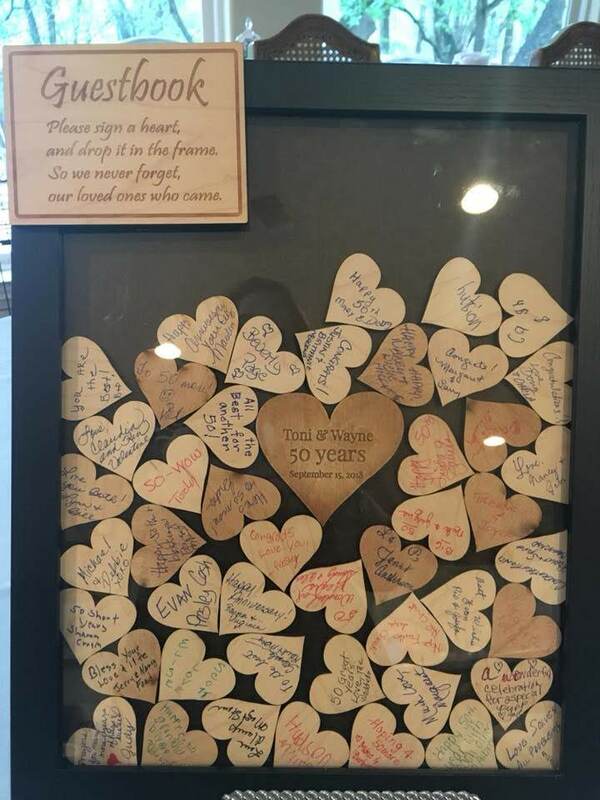 For something like a kid’s birthday, we suggest getting the smaller or medium sized hearts (1.5″ or 1.75″) and close to around exactly how many guests you plan to have. Each kid will want to sign his own. Again, these are just suggestions, it’s impossible to know for sure how many pieces will be signed. **The background color will be natural brown (hardboard) unless you choose a colored background and put this in the notes. There is no extra charge for a colored background. 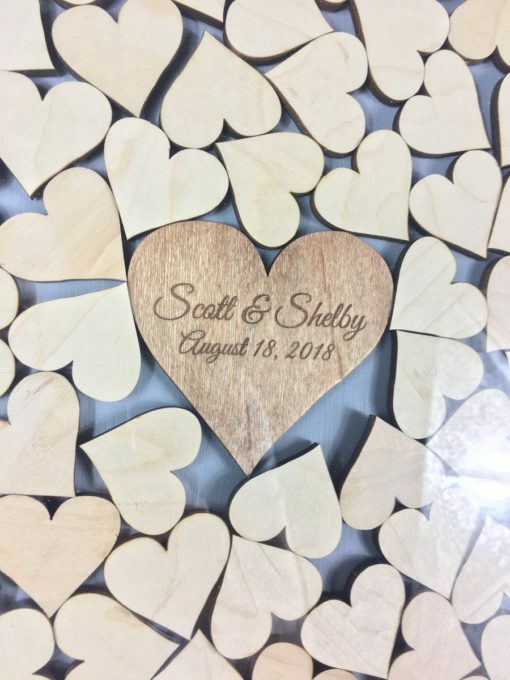 ***We will include the instruction sign for no extra charge (the pictured item says leaves but yours will say hearts) if you photograph and share the this guest book (preferably in use at your event) on facebook or instagram, @havolydesigns. You’ll need to tag our facebook page in the post, or post it directly on our page, http://www.facebook.com/havolydesigns Selecting “Yes, I’ll Share You” is you making an agreement you will do this. You must first like the facebook page and let us know in the notes section what name you liked the page with (if it’s different from the name you ordered on here with). We really appreciate you helping out this small business by doing this. 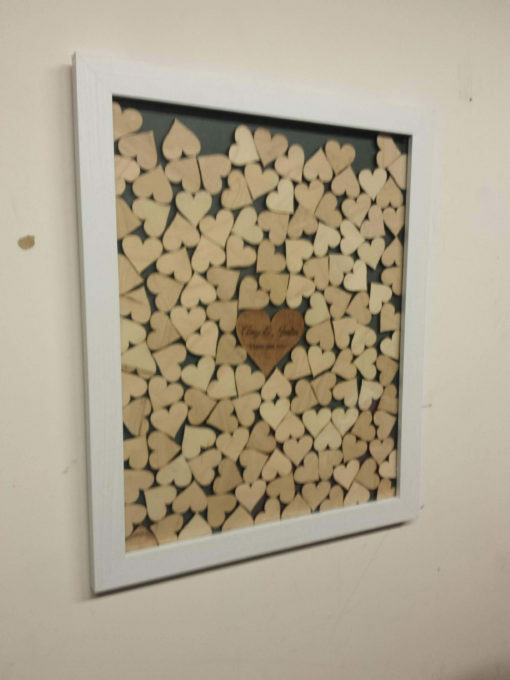 If you want the signed pieces or the engraved piece to be a different shape (ie. circles, stars, rounded corner rectangles, etc.) just shoot us a message. We’ve made many different shapes in the past, with great outcomes. 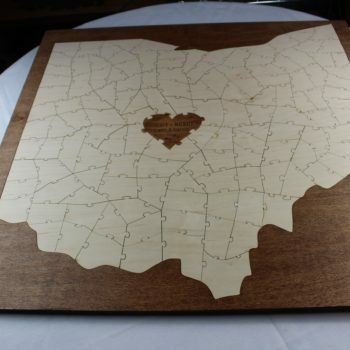 The center engraved heart on the 11″ x 14″, 14″ x 16″ and 16″x 20″ is approximately 3 inches tall and wide. 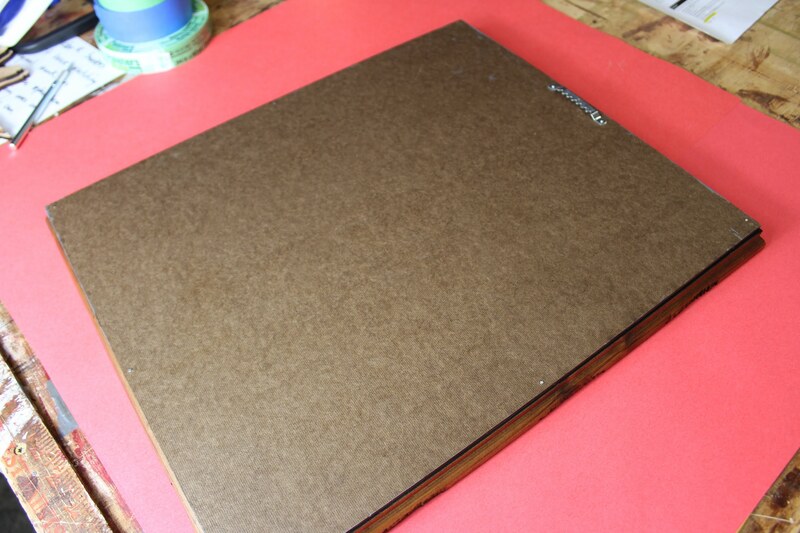 It is a bit smaller on the 8″ x 10″ frame to keep the overall “look” of the guest book. The interior pieces are made of quality 1/4 inch thick maple ply wood. The front cover is glass. The heart piece with the names on it has been finished with a dark brown finish. We also make a tree drop box guest book. 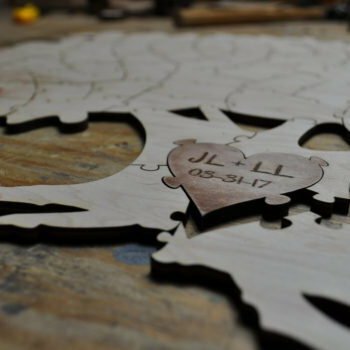 It has a tree trunk as the custom engraved piece and maple leaves which the guests sign. Don’t be afraid to ask for a different style or shape for the leaves. We also make puzzle guest books which are a big hit. They come in both the heart and tree shapes, as well as in a variety of sizes. Please look at the perfect reviews we have received for this and all items we sell on the Etsy shop. Below is a video showing how I make these step by step. Excellent work & customer service! Had a personalized drop box made and it came out amazing! Definitely exceeded my expectations!! Great to work with. 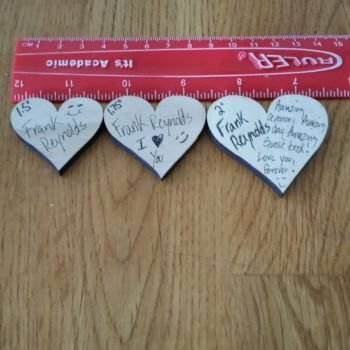 After placing my order I decided I wanted a smaller heart size and they were able to do it with no issues. Shipped quickly and looks great. We cannot wait to use it at our wedding! 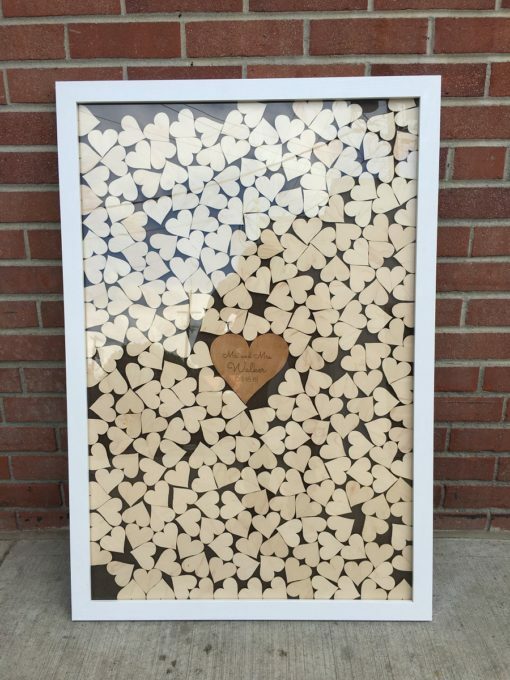 Love my custom wedding guestbook!!! Casey was so awesome to work with and super creative. 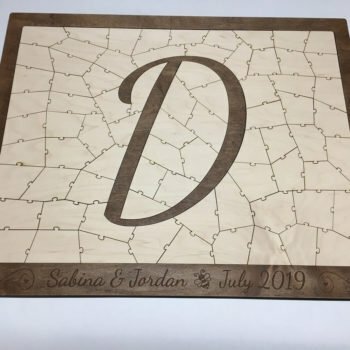 This unique guest book idea is great, can’t wait to share with our guests!! !